Does Your Cat Have Feline Colitis? Learn to Recognize the Symptoms Today! This article describes the dangers of feline colitis and the symptoms you should not ignore. Inflammation of a cat’s colon (lower or large intestines) is called feline colitis. This problem may be fatal if not treated promptly and properly. In order to help your cat overcome colitis, you first need understand the basics of digestion, most importantly the functions of the large intestines. When food is swallowed in the mouth, saliva liquefies the food and turns it into liquid slurry. The food then travels through the esophagus, a tube that connects the throat to the stomach. In the stomach, serious grinding of the food takes place. The stomach also adds strong acids into the mixture which helps dissolve the food. The process ends with the digested food mixture moving into the small intestines. From here, bile is added to the mixture which neutralizes the strong acid secreted by the stomach. The food mixture will then be available for absorption. Absorption happens as the food passes through the small intestines. What remains of the mixture will then enter the large intestines or the colon. Most of these are indigestible materials and a few nutrients that the small intestines failed to absorb. If the colon is functioning properly, it should be able to do three tasks efficiently. It absorbs the remaining nutrients, water and stool. The colon is populated with bacteria that help do these tasks and also produce biochemicals to nourish your cat’s colon cells. These biochemicals are also the ones responsible for maintaining a good pH level and ensuring that the toxins excreted won’t be reabsorbed. If you suspect your cat is suffering from feline colitis, you can verify it by recognizing if these symptoms are present. The stool usually carries mucus or slime, and possibly even fresh blood. The stool is also more slimy or gooey instead of watery. 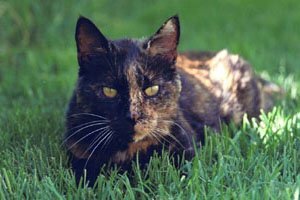 There are three types of feline colitis. One that occurs suddenly is called acute colitis. Chronic colitis is a colon problem that has been going on regularly for several weeks. If the problem is periodic or something that occurs now then goes away only to happen again, then it’s termed episodic. Your pet can acquire acute colitis possibly because of taking in certain foods. This could be because your cat has somehow managed to raid the garbage or maybe ate something toxic. Aside from parasites, another cause of acute colitis is sudden weather changes. Acute colitis is also common for pet cats which have recently traveled or moved to far places. Acute feline colitis can easily be treated with a few medications which your vet would prescribe. The most common prescription is metronidazole. Your vet may also suggest that you put your cat into a dietary therapy to facilitate treatment. Chronic feline colitis is obviously more difficult to treat. If your cat has been showing symptoms of colitis for more than a month, then you should bring him to the vet for diagnosis. The vet would need to run a few tests to exactly determine what caused the symptoms. Basic tests would include a blood test and a CBC. Of course, he would have to check the feces for parasites, bacteria and worms. There is also a test to check if the cat’s pancreas is able to produce enough digestive enzymes. Sometimes, a colonoscopy with biopsy is needed to be able to arrive at an accurate diagnosis. Colitis and several other bowel syndromes share the same symptoms. That is why, you would first have to rule out other possible conditions before you start giving the cat any medications. Any disease is best treated when the causes are known. The best medications your vet could prescribe are a few bacteria and anti-inflammatory drugs to ease the inflammation. Putting your cat in a specific diet is also very important as food intake plays a major role in the digestive process. Food allergies may make matters worse. If your cat has a few food allergies, first try to take steps to eliminate them. Don’t worry, your vet can formulate a special diet plan for your cat. You can also cook and blend your cat’s food yourself. Mix chicken, tofu, fish, eggs, rice or even baby food.